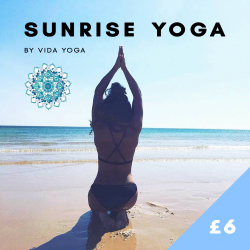 Join MagnaPass for an extra special edition of Sunrise Yoga as all proceeds will come to Forever Manchester to help us fund and support community activity across Greater Manchester. Marley from Vida Yoga will be leading you through a relaxing yet challenging vinyasa flow practice – the perfect way to start your busy day and stretch out those tight and tired muscles – in a tranquil yoga environment complete with candles and fairy lights. After that, treat yourself to breakfast – which is included in the £6 price – from the guys at Handlebar Cafe. All mats will be provided, just be sure to wear something you feel comfortable in and you’re all set!